Lexus named as best performing car manufacturer while the Jaguar F-Pace is the top model with the Skoda Rapid number one for reliability. NFU Mutual is best insurer. 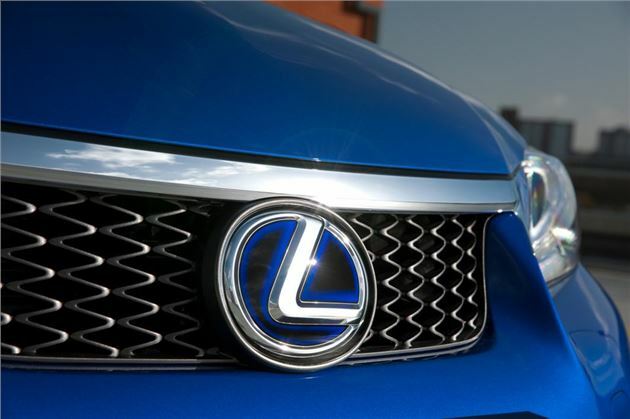 Lexus has been named as the best car manufacturer in the 2017 Honest John Satisfaction Index. Drivers rated the reliability, build quality and ease of driving of its models more highly than any other. The Japanese firm scored an impressive 89.43 percent satisfaction among owners, with Jaguar close behind on 89.36 percent. Sitting in third is SsangYong, only marginally behind with 89.13 percent. It's a mightily impressive result for the brand and shows just how far it has come in the past few years. It's been helped by some very good models like the Tivoli plus a five-year unlimted mileage warranty across its range. Skoda and Porsche round out the five leading brands, while Suzuki, Dacia, Infiniti, Mercedes-Benz and Subaru complete the top 10 in the inaugural Honest John Satisfaction Index. The launch of the first Honest John Satisfaction Index saw us ask our readers about the good, the bad and the ugly of ownership. We received more than 10,000 responses in total. Jaguar scored a double top in the most popular models category with its F-Pace and XJ while Volvo took third with the XC70. The Skoda Roomster was fourth and the Nissan Leaf was the highest placed electric vehicle in fifth. Performance, handling and comfort were the big positives for Jaguar drivers who took part in the 2017 Satisfaction Index. As well as Jaguar’s twin successes, Skoda is the only manufacturer with three cars in the top 10 with its Roomster, Superb and Rapid all proving popular. It was a less welcome result for Vauxhall, which recorded the lowest satisfaction result, below Chrysler and Chevrolet - two brands which are no longer sold in the UK. Renault was fourth from bottom, followed by Fiat. Peugeot, MG, MINI, Saab and Nissan filled the other spaces at the blunt end of the 2017 Honest John Satisfaction Index. Ford’s Ka recorded the worst result for an individual model, with the Citroen C1, Volkswagen Touran, Fiat 500 and Renault Laguna lining up behind. Drivers taking part in the Satisfaction Index felt the Ford Ka lagged behind for fuel consumption and the cost of repairs compared to others in its class. French firms Citroen and Renault both performed poorly with two models each filling out the bottom 10 cars in the 2017 Satisfaction Index. Each car manufacturer and model was assessed on reliability, build quality, fuel economy, repair costs and performance. Ride comfort, handling, ease of driving, practicality and technology were also considered, as well as safety. These scores contributed to an overall ranking. It may no longer be on sale, but the Volvo XC70 still has a loyal fan base and its owners are clearly a happy bunch. It’s not difficult to see the appeal of this all-round versatile estate with off-road ability. Indeed, owners ranked it as highly as the Jaguar XJ for ease of driving. Exciting it may not be, but the Rapid comfortably took the top spot for reliability. Contributing to its excellent result are low repair costs and top notch build quality as rated by its owners. Together, it means this Skoda is a compact car you can depend on. The CX-3 may be a relatively new model, but its owners already appreciate how simple it is to live with thanks to its superb reliability. Owners rate its build quality extremely highly. As a result you should be very unlikely to experience any unexpected trouble. Just pipped into third place, what's surprising is that the BMW 2 Series is the only German car in the top 10 here. It ranked very well for build quality and the low cost of repairs when needed, which all go towards making this BMW a very easy car to live with day in, day out. We’re a fan of the Hyundai i20 and so are its owners. They've rated it so highly that it's the best performing small hatchback in our 2017 Satisfaction Index. Prime among its attributes loved by owners is practicality, proving that compact cars can be versatile too. The Suzuki Swift is one of those cars that enamours itself to owners thanks to a broad range of qualities. Reliability and strong build quality are keys to its success, along with good fuel economy and low repair costs. A dash of style is added to our top three finishers among small hatches with the DS 3. Available as a standard hatchback and a cabriolet with a retractable roof, it doesn’t score so well for practicality but owners are very fond of the handling and performance. NFU Mutual has been named the best car insurer in the 2017 Honest John Satisfaction Index. It topped the board with an overall rating of 9.21 out of a maximum score of 10, heading a list of 50 UK insurance firms. Second place went to John Lewis with a mark of 8.79, while Liverpool Victoria took third spot to add to its 2017 Honest John Highly Approved Trader Award in the Financial Products category. All were praised for the quality of their customer service and value for money. Nationwide and RIAS also made it into the final five, while General Accident, Saga, Quote Me Happy, Chaucer Direct and Lloyds TSB rounded out the top 10 insurers. At the other end of the table, Performance Direct registered the lowest result of 5.92, followed by 1st Central, Direct Choice, Autonet and Bell from Admiral. More than half of the 50 car insurers rated in the 2017 Satisfaction Index gained a score of 8 out of 10 or above. Not happy with your insurer? We strongly recommend that you see how competitive your insurer is every year - and don't just accept an auto renewal. Use our Insurance Guide as a starting point to start saving money on cover and use a range of comparison sites like Confused*, Go Compare, and Compare The Market to get a good idea of which insurers are the most competitive.